Until a few minutes ago, Eero's mesh network system was our recommendation to fill a large house with reliable, fast and easy-to-use Wi-Fi. Now that Amazon has just announced that it is acquiring the company, it may not be a bad idea to put your Wi-Fi upgrade plans on hold until we see what Bezos is up to for your wireless network. Random gadgets make it more and more intelligent, and the demand for wireless networks connecting everything to the Internet is increasing. So far, mesh networking has been the answer to ensuring that the influx of devices connected via Wi-Fi runs smoothly and interacts well. 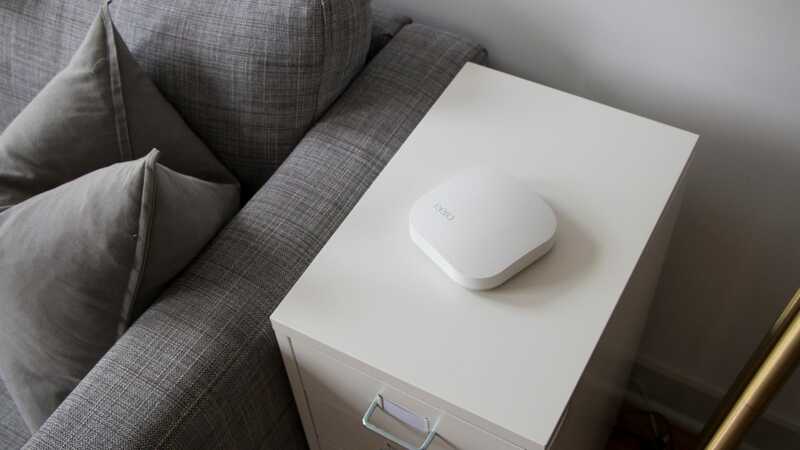 Eero is better than most at finding the router and its nodes so easy to set up and manage in our review – as long as you do not mind paying a premium for the hardware. So what will change when Amazon's acquisition of Eero is complete? Not surprisingly, there are few details in Amazon's official press release, except for the CEOs and SVPs of the companies that compliment each other. Will Amazon maintain the brand, which is not as well-known as companies like Linksys or D-Link, or will Eero eventually join the Echo family? If you ask Alexa for help in connecting a new smart device to your wireless network, this would undoubtedly be convenient, but as we've recently discovered, blocking Amazon from your life is almost impossible. So you really want to open another giant door for the online retailer to enter your home?